The Wedding University: Luxurious Honeymoon, Anyone? At the end of the day, a very lucky student will get selected for our Grand Giveaway--3 nights at a luxurious Four Seasons Hotel for your honeymoon! Any Four Seasons? No, but you can choose one of the three below which are all INCREDIBLE!!! 1. 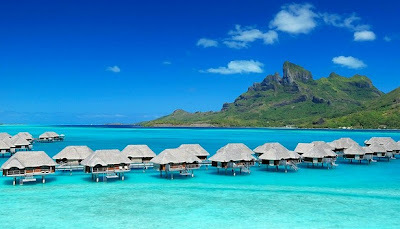 Four Seasons Resort Bora Bora--think overwater bungalows (!! ), crisp blue lagoons, pineapple coladas. 2. 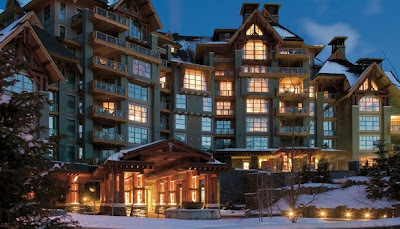 Four Seasons Resort Whistler--think warm fireplaces with hot chocolate, superb spa, and awe-inspiring ski slopes. 3. 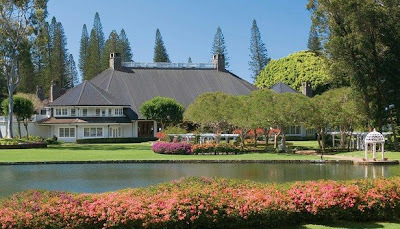 Four Seasons Resort Hawaii, Lana'i, the Lodge at Koele--think country manor, peaceful tranquility, and golf. What are the odds of winning if you sign up? One out of 150--odds are good! There will also be other fantastic giveaways.....more details to come later. Please follow our blog for more updates!